ACLU Doesn't Want Surveillance Cameras In New Orleans Because Of "Disparate Impact"
Previously on SBPDL: Pattern Recognition a Greater Sin than Black Criminality: BART Officials Protecting Black Criminals from "racially insensitive commentary"
The most important function of the state - and their hired enforcers of the executive branch, the police - must perform is to protect black people from being judged correctly for the disproportionate criminality and dysfunction they create. In our multiracial society, where the law has been supplanted with the iron law of minority rule, white people have sacrificed the civilization their ancestors passed on to them in the vain hope of the pursuit of equality as our greatest societal good. Thus, we have the state and the media working in tandem to actively censor and coverup the shocking criminality the black community is uniquely responsible for, even if this act puts law abiding citizens and their private property at risk. Enter New Orleans, a roughly 60 percent black city overwhelmed by black violent crime. Indeed almost all the violent crime (homicides and nonfatal shootings) are committed by black males. The city relies upon tourism as the lifeblood fueling economic development, so white people fearing a trip to the Crescent City is a problem the chamber of commerce cannot tolerate. In an effort to cut down on crime, particularly white tourists/white convention goers being attacked in the French Quarter, a $40 million public safety initiative to utilize an intricate web of surveillance cameras to solve crimes just went live. Private business can upload their security feeds for the monitoring system, enabling heightened surveillance to keep people and property safe. Enter the ACLU, complaining about the "disparate racial impact" the camera system will have "with black people more likely to be misidentified as suspects and disproportionately placed under surveillance." The City of New Orleans' plan to use surveillance cameras to deter and solve crimes has come under fire from a civil liberties group claiming in a statement that part of the plan "raises serious constitutional concerns for privacy." The plan, proposed in January as part of Mayor Mitch Landrieu's $40 million public safety initiative, includes the adoption of a city ordinance that would require bars and restaurants across the city to install cameras on the outside of their buildings pointing into public areas. The ordinance, if approved by the New Orleans City Council, would also require those establishments to store the surveillance footage on a cloud-based government server to which law enforcement would have access. "This ordinance would put the city's surveillance apparatus on steroids, subjecting New Orleanians to near-constant monitoring of their daily lives and stifling our vibrant public space - without meaningfully reducing crime," ACLU Louisiana interim executive director Jane Johnson said. The ordinance mandating bars and restaurants install cameras and make the footage accessible to the city is one part of the city's crime camera plan. Separate from that plan, which requires the ordinance, the city has already installed about 80 of its own surveillance cameras at unnamed "hot spots" around New Orleans. Landrieu's office has said another 250 cameras should be installed by the spring. 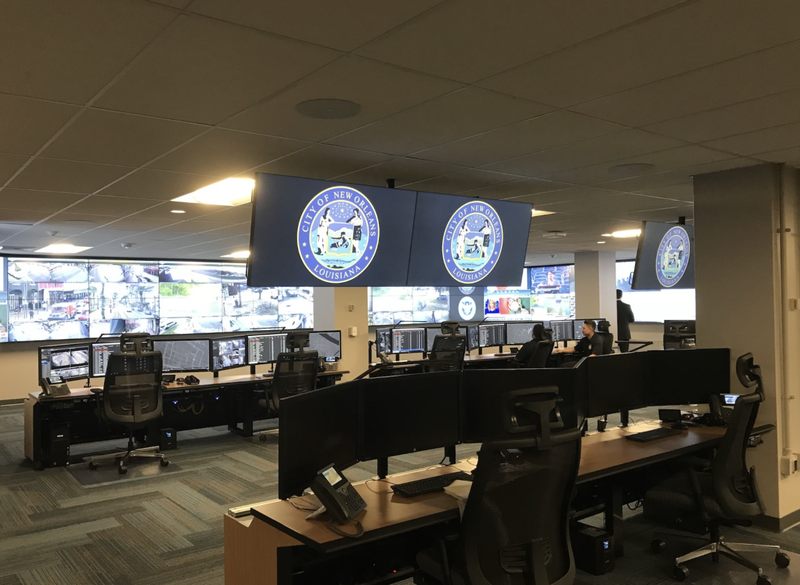 Additionally, city officials last month announced plans to expand the Real Time Crime Monitoring Center capabilities by incorporating private cameras. Residents with their own surveillance systems are invited register their cameras with the city, via safecamnola.com, so police can view the footage. The ACLU statement also warned, as Price did, that the crime camera program was susceptible to abuse. The statement states surveillance methods of policing can "have a disparate racial impact, with black people more likely to be misidentified as suspects and disproportionality placed under surveillance." Tidwell, though, maintained that the NOPD's commitment to constitutional policing, which includes bias prevention, "remains unwavering." "We have policies in place to safeguard citizens' rights, and we anticipate continued success as the (crime camera) program expands," Tidwell said. In a country where protecting civil liberties of criminals is a far more lofty notion than protecting the lives and property of law abiding citizens, the ACLU being upset about cameras confirming black people commit all the violent crime in New Orleans makes sense. Reality, after all, has a well known racial bias.